You know those moments at work which you wish you could take back? Where you make a mistake in front of a whole group of your coworkers and your cheeks flush and you shrink a size or two? I had a few of those moments this week. And in God’s fantastic sense of humor, on the way into work I had been listening to Danielle Rose’s song the Litany of Humility. Have you heard it? It’s actually the words of a prayer from Rafael Cardinal Merry del Val (1865-1930), with the words put to music by Danielle. As I was driving to work and listening to the song it made me think about something we talk about at work all the time as therapists – the false self. And it struck me that this litany was really a prayer about the death of the false self. The prayer asks Jesus to deliver us from all sorts of desires – the desire of being extolled, of being consulted, of being approved and preferred, and at the same time prays for Jesus to deliver us from many fears – the fear of being rebuked, being humiliated, being ridiculed, etc. (The whole prayer is copied for you below). And it struck me that all these prayers are really asking for Christ to purify us and liberate us from the false self, to chisel away that false self. The false self is another way of saying our ego or our pride. When get upset because other’s don’t give us the positive feedback we think we deserve, or when we get embarrassed or really angry when we’ve make a mistake, or when we get defensive with others, we can be sure that the false self is at work. When we pay more attention to what others think about us than to who we really are, when we suddenly falter and become insecure because no one is praising us or telling us exactly what to do, and when we change our behavior when others are looking verses when we’re behind closed doors, we know that the false self is alive and kicking. The false self is nothing new, and we all – all of us! – have to struggle with it this side of heaven. And that’s where God’s great sense of humor – and truly fatherly guidance – comes in. 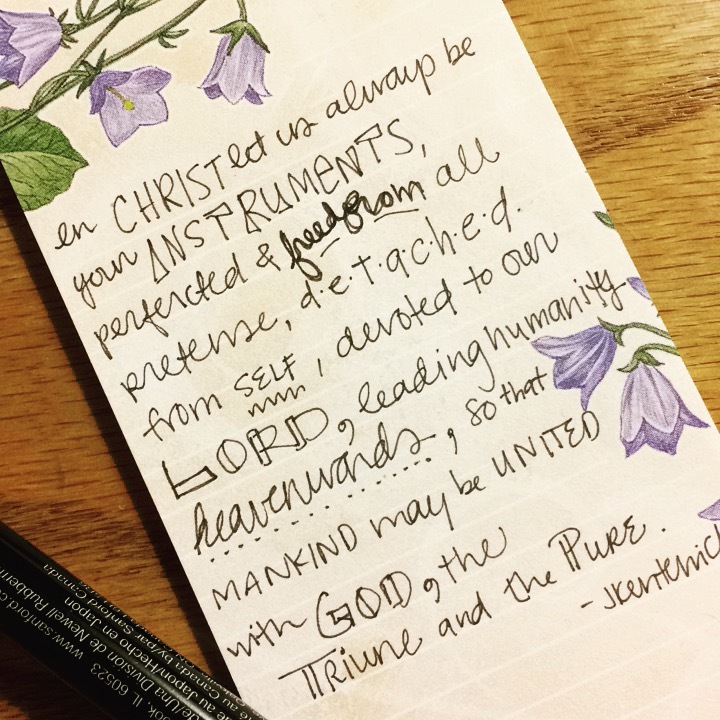 So after I got so inspired by listening to this song and thinking about the false self, I sent a little email with the prayer/song to a few of my coworkers, and then proceeded to walk into the staff meeting – where the Lord had prepared for me a few really good moments of humility! I totally bumbled around trying to communicate about an event I had forgotten to add to the staff calendar, and later on in the meeting had to own up to something important that I had neglected to do. After the pink faded from my cheeks and I was able to think clearly again, I really had to chuckle about how God had answered my prayers about delivering me from my false self!….Be careful what you pray for! But really it’s such a beautiful -albeit painful – journey. And it wouldn’t make sense to pray for these things or ask God to chisel away at us if He weren’t the God of love, if He weren’t our loving Father with our own salvation and joy at heart. And we can’t make our own false self die through self discipline or self-abnegation – not completely anyway. It’s really God who has to do it. However it is our place to give Him that “yes” – to be open to His will, and to choose to see behind every blow to the ego His Fatherly hands guiding the chisel and the hammer. When God draws us to himself, when he wants to have us for himself, we have to lose our own centre of gravity, we have to be uprooted from our own selves. However, the process of becoming rooted in him, in God, is long and arduous. We have to be pruned, and that hurts our poor human nature terribly. We almost feel as though we have been placed in a vacuum. We seem to be walking in the air. We are stuck and don’t know whether we are coming or going. 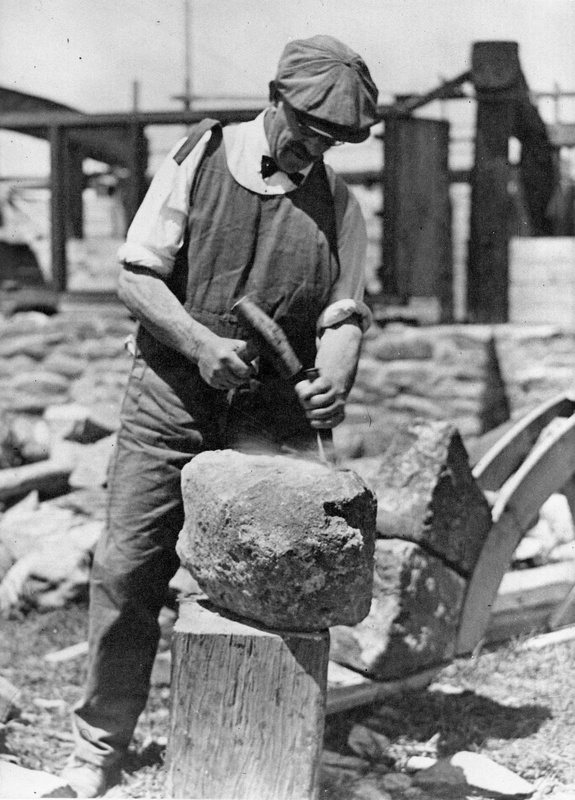 That is the soul which feels God’s hammer and chisel very deeply as it develops, but it has to be de-tached and re-attached. That is how to interpret those words: “Et exaltavit humiles”. [He raises up the lowly] Only then do we become great. ~ Fr Joseph Kentenich. It’s a tall order for sure. But He is always first and foremost a God of mercy, and His timing is perfect. So this is something that happens ever so slowly in our daily lives, through our jobs (point in case! ), through our relationships with our family and friends, through all our daily circumstances. You might say it’s another way of thinking about conversion. I pray that each of us may have the courage and faith to say yes to the adventure of this conversion every day, and that our Blessed Mother educate in this humble and strong “yes.” In this way God will work out our true inner freedom – to be free from all that binds us, that we may be free for God and that He has in store for each of us in His plan of love for our lives. With each little chisel (and God’s good, good humor!) may we grow a little more free each day. too often forgetting you in the ship of my life. to make sure my little ship would proceed according to my plan. Father, let me finally be entirely converted! even when I do not know the goal no know the way. I now let you lead my blindly. I only want to choose your holy will.